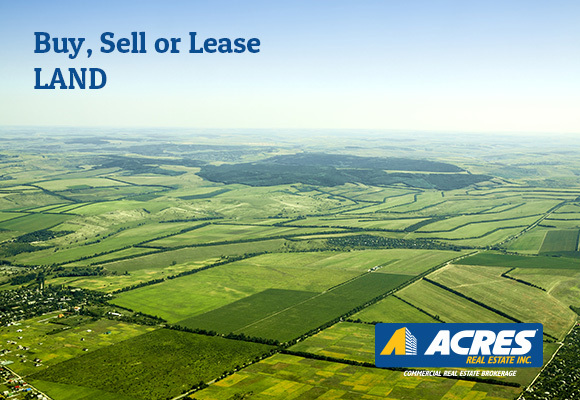 Land Buy/Sell Services – Acres Real Estate Inc.
Our experienced and dedicated professionals who partner with vendors, developers, corporations and individual investors to develop and execute real estate strategies that add value, preserve wealth, and ensure each transaction meet the clients goals and objectives. Acres provides a full spectrum of brokerage services – including site selection, land use analysis, acquisition, disposition and ground leasing to buyers and sellers of commercial, industrial, retail, residential and mixed-use properties. We have the expertise to cover all aspects of a client’s needs. our process allows Sellers and Buyers to achieve maximum value through market knowledge and expertise by providing insight and access to active investors, developers and end users in the market place currently acquiring assets. We would like to invite you to contact us to discuss your land and how our creative sales program may be able to assist you in obtaining the maximum value for your property.